Licensed Dietitians and Nurse Educators provide inpatient and out patient diabetes and nutrition education each Thursday. We are also able to schedule individual appointments on other days of the week on a case-by-case basis. We offer comprehensive education for Type 1, Type 2 and gestational diabetes. When your physician or other provider refers you to the program, please call 320-843-1349 to schedule an appointment or to discuss your diabetes management. 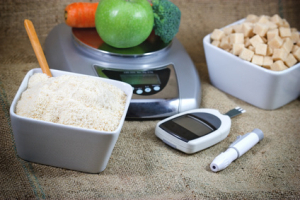 Additionally, our Registered Dietitian Nutritionist is available to provide Medical Nutrition Therapy Services for conditions such as diabetes, renal failure, and weight loss counseling. These services can be scheduled for any day of the week and are available in 30 minute and 1 hour increments. Please call 320-843-1322 for more information regarding our nutrition therapy services.